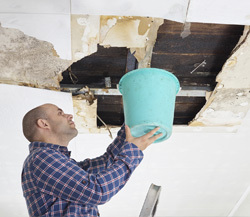 Is Your Home in Danger Due to a Water Leak? Call us first! Words cannot describe my experience with your two workers. Not only were they efficient and knowledgeable of water systems- they were polite, worked fast, and worked well together. They found and fixed the leak in a couple of hours! Leak Doctor provides fast and non-invasive leak detection and repair services for residential properties throughout Central Florida and Atlanta, GA. Our experienced technicians use advanced technology to quickly identify the source of your leak. As licensed plumbers, we have the training, skills, and tools needed to repair your leak on the spot. We offer the most cost-effective, real-time solutions to your leak problems. Stay up to Date with Regular Coupons, Tips, and Advice!